Meanwhile, the Trump administration is considering the possibility of changing the current political course that previously hasn’t led to any success. Today a new strategy for the war in Syria has been hastily worked out. 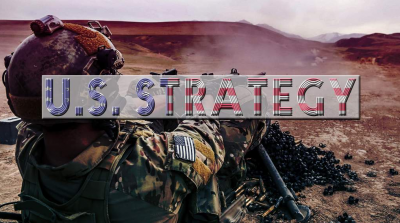 According to Stratfor, an American geopolitical intelligence platform and publisher, the U.S. is focused on the full withdrawal of the Iranian military and their proxies from Syria, as well as on changing the current Syrian government. The ‘war strategy’ particularly highlights the Russian and Iranian approach. However, the United States could hardly be expected to force Moscow and Tehran to leave Syria, as these states are acting officially involved in fighting terrorism at the invitation of the Syrian President. Due to allies’ support, the Syrian Arab Army is now controlling more than 60% of the territory and is going to liberate the Idlib enclave soon as well as the areas occupied by the U.S. and Turkey. It’s worth noting that the U.S. has illegally deployed at least ten military bases in northeastern Syria. These territories are under the Kurdish control and are rich in natural resources such as gas and oil. Moreover, in September 2018, the U.S. forces have started setting up two additional military bases in al-Qamishli region in al-Hasaka province. According to the new strategy, Washington intends to preserve its influence in the area by resolving two missions simultaneously. First, it is planned to carry out total control over gas and oil deposits for the American corporations. Second, continue to destabilize the situation until power in the country is changed. Besides, one more U.S. military base is located in al-Tanf not far from the state border with Iraq and Jordan and near the al-Rukban refugee camp. The U.S. SOF trains opposition fighters there. Initially, the Pentagon planned to occupy the whole region of southeastern Syria, but the SAA backed by Iraq had derailed the U.S. plans by connecting western Syria with the Syrian-Iraqi border north to al-Tanf. To sum up, the Pentagon controls about 30% of territories in northeastern and southern Syria. Another 10% of northwestern Syria is under control of the Turkish army and its military formations. By the way, some Middle East experts are sceptical about the new U.S. strategy in Syria. They believe that the U.S.-designed plans will fail as Washington has not been able to overthrow Assad for years of the conflict. The also suppose that fighting terrorism and a possible risk for their motherland being transformed into another Libya consolidated the Syrian nation most of which trust their leader. After all, people have stopped to believe the information transmitted by Al-Jazeera and Al-Arabiya. The plan to drive Iran out is also hardly possible. Washington is not ready for confrontation with Tehran and is likely to limit itself to economic and diplomatic solutions. However, we should not expect the US military to leave Syria. The White House won’t take that step. Otherwise, it could lose the influence in the region and American corporations would be deprived of income. President Trump is interested in gaining economic benefits of the U.S. oil companies’ presence in northern Syria. Consequently, it is too early to speak about the withdrawal of the U.S. troops. There have been no serious prerequisites. The U.S. will have to leave the country only when Assad regains control over Idlib and establishes the dialogue with Kurds. Such a development is possible only in long-term perspective. That is why the current task for the Syrian army is the restoration of peace in Idlib Governorate that is currently run by the Hayat Tahrir al-Sham, Huras al-Din and other radical groups. The government forces have already prepared for the offensive. The large-scale military operation is to begin if the jihadists reject leaving the buffer zone under the Russian-Turkish arrangement.